The first edition of an interdisciplinary collaboration of up-and-coming animation artists and authors. Be prepared to be eaten by a venus trap, to encounter a vengeful Mayan god, to be swept away by the memories of your past. Get enchanted by the sounds of Bakzhigia, be taken from a café in Rostock to the abyss of your soul, embrace your sexuality and ask all the questions you never dared to ask... Just to give you a glimpse of the unique and thrilling universe that sets the tone for this experimental and poetic short film program. LAB P – POETRY IN MOTION is a new program for supporting up-and-coming animation artists and writers based in Saxony, Saxony Anhalt and Thuringia. 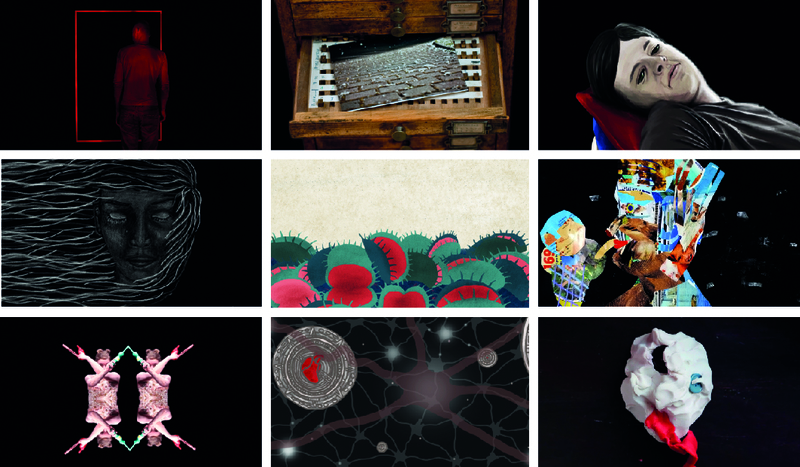 Through an interdisciplinary discourse they developed nine animated poetry films. The films provide an exciting insight into contemporary animation and poetry and invite the viewer to explore new artistic positions. Developed in a cooperation of OSTPOL, Deutsches Literaturinstitut Leipzig, Bauhaus University Weimar and Bauhaus Film-Institute, under the the artistic mentorship of Cathy de Haan, Aline Helmcke, Fabian Giessler, Walter Bauer-Wabnegg and Wolfgang Kissel. Nine delightful miniatures of the young international avant-garde: the personal background of the participants, from China, Columbia, Germany, Russia, and the Ukraine, take you on an emotional rollercoaster with a memorable artistic signature.